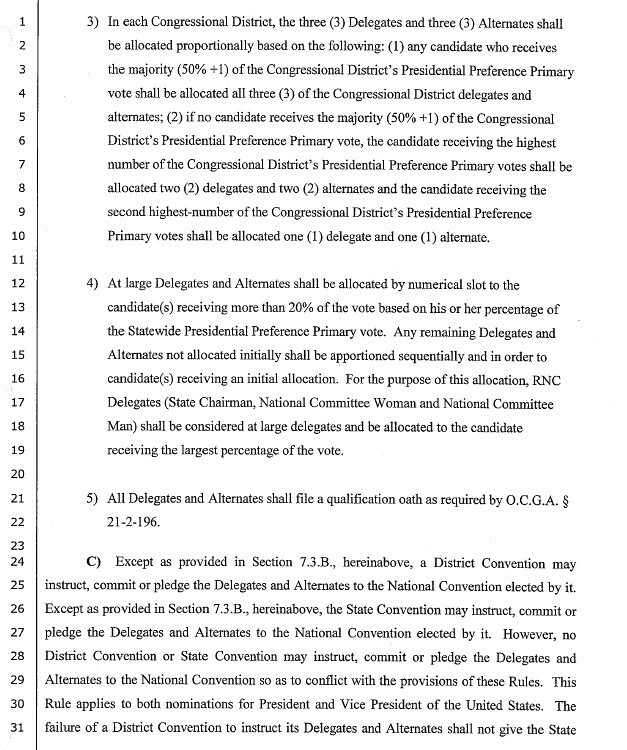 With news reports that the Michigan Republican Party voted to award Mitt Romney an additional National Convention delegate, and Michigan GOP officials saying both the campaigns and the media misinterpreted the state's delegate selection rules, this post is needed. 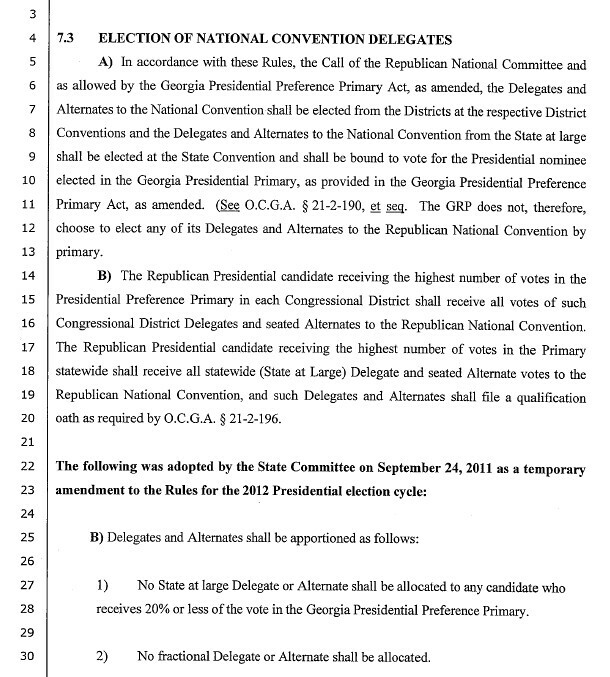 Below are the National Convention delegate selection rules for the Georgia Republican Party. 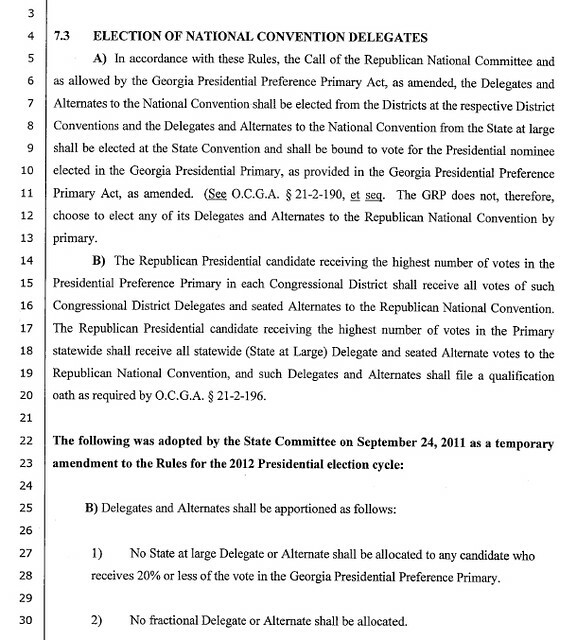 These are rules that have been in place since September 24, 2011.